Bricktie was developed to overcome the problems associated with lifting heavy blocks in the construction of 215mm and greater thickness walls. 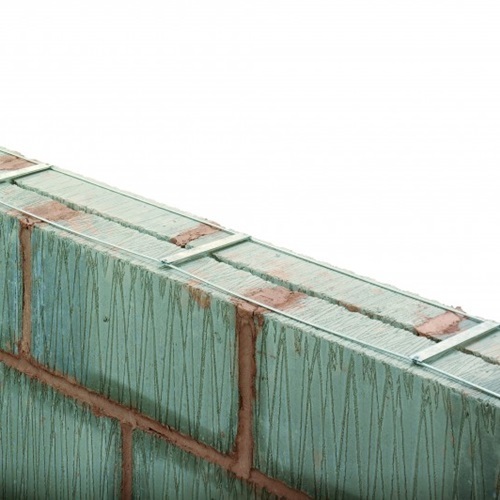 The use of Bricktie allows the construction of collar-jointed walls - made up from two thinner blocksin accordance with BS 5628-1. By tying the two masonry leaves together, the wall may be designed as though it were solid construction. 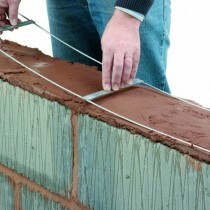 Bricktie provides an effective and time saving solution to most wall combinations and consists of a 20 x 3mm flat tiewelded to two longtitudinal flattened reinforcing wires. Bricktie is available in 175mm width, to suit a 215mm collar-jointed wall, constructed from two leaves of 100mm blockwork.